It’s no small task to convince your kids about eating healthy food. Fast food chains, frozen fried snacks, sweets, and fizzy drink advertisements dominate every type of commercial media. Whether your child is watching the television or surfing the web, they’re constantly exposed to enticing images of junk food. So how can you motivate them to develop healthy snacking habits? Needless to say the path to nutrition is treacherous at best for children overexposed to unhealthy alternatives. For mums, the challenge is about managing what your kids eat on a daily basis. If you’re working at home, you can have a more immediate influence on what your children eat. But even when you’re at home, most mums have difficulty monitoring their kids’ eating habits. To mums at home, I advise a proactive, engaging approach to your kids’ snacking habits. Below I offer a few ways you can try to curb their junk food tendencies. You can immediately change your kids’ snacking choices by limiting what’s readily available. Clean out salty and high-calorie snacks to be replaced with fresh fruit and produce. 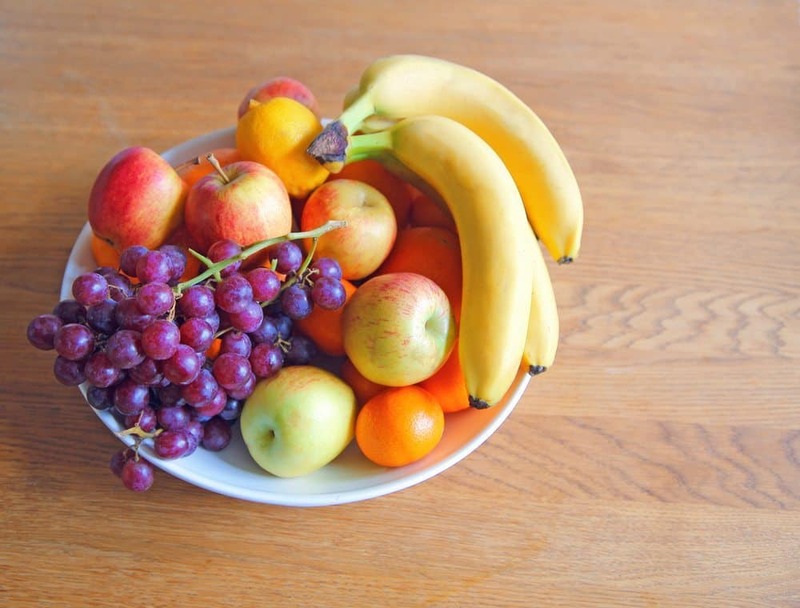 Start simply by placing apples, oranges, bananas or berries prominently in the kitchen or living area. If fruit is all that’s available to snack on, they’ll gradually take to it as a snacking staple. A well stocked fruit bowl is a very attractive item and you may find the whole family is drawn to it. You might be met with resistance from your kids initially, but stand firm. If you have a habit of stocking your pantry with crisps and cheesy snacks, of course your kids will resist the change in their snack food. If they continue to protest, just reiterate the importance of healthy food in your kids’ diets. At the very least you can rest assured that your kids will snack on healthy food as long as they’re under your roof. When you have time, plan activities designed to encourage your kids to eat healthy food. A trip to your local farmer’s market could be immensely instructive to your kids who likely know nothing about local foods. Furthermore, local farmer’s market can give your kids perspective on how foods are made and shipped elsewhere, putting a familiar face on healthy foods. You can let your kids choose the fruits, vegetables, or other sundries to eat throughout the week. While I recommend farmer’s markets for everyone, this step may best serve mums who are met with particularly stubborn resistance from kids who refuse to eat healthily. You’ll meet less resistance from your kids if you let them participate in healthy snacking choices for the household. While it’s one thing to ask mums to keep fresh fruit around the kitchen, it’s another thing to maintain that practice. I know it’s especially difficult for mums to plan anything when they’re working at home and raising kids simultaneously. If you’re watching your budget and want some snacks that’ll last the week without spoiling, there are alternative to fresh fruits and vegetables. While I’d advise avoiding most prepackaged snacks, even the ones marketed as “healthy,” some are reliable. Nuts of any variety can serve as an ideal healthy (and salty) snack, due to their nutrients of protein, iron, and healthy oils. Healthy snacking choices for your kids do exist; it just takes a concerted effort on your part. 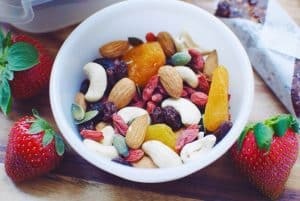 While you might not be looking to do more work to provide healthy snacks, the long-term benefits for your kids should outweigh any immediate inconveniences. Hi there – I love this blog post! I’m a serial snacker and a mum and it’s often hard to make snacking healthy – especially for kids. At Activia we promote healthy eating as part of a happy and active lifestyle choice. We have some great snacking tips which are always healthy! Give them a try if you like the look of them! http://bit.ly/q7XEF9 They come in at around 200 calories and include varieties of ways to get part of your 5 a day. Peter Popples Popcorn is a healthy, fun and tasty snack for all the family. It comes in four family friendly flavours – Salt & Vinegar, Golden Syrup, Cheddar Cheese and Tangy Tomato. Our 20g bags are great for anytime snacks or lunchboxes for children. Our popcorn is different and healthier from other popcorn and crisps as it is air popped which means it is not cooked in lots of greasy oils. It is lower in salt and fat (8% compared to 19-25% in others) and only 80 calories a bag. I think Peter Popples Popcorn would be a great fit for Mums the Boss and I was therefore wondering if you would be interested in reviewing our products if we were to send some over to you? If you would like any further information, please let me know.